A delightful retelling of the three little pigs story. 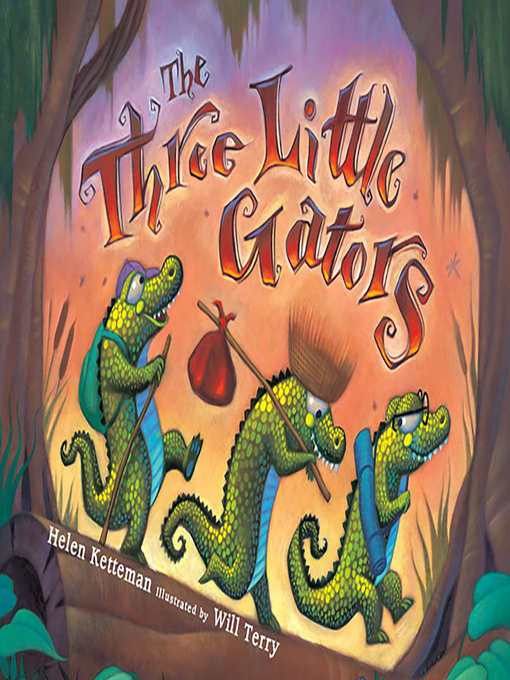 Three little gators strike out on their own in an east Texas swamp. Their mother warns them to build strong houses that can protect them from Big-bottomed Boar, who likes to eat tasty, tender gators for his snack. Soon, First Gator builds himself a nice house out of rocks. Second Gator reckons rocks are too much work, so he builds his house with sticks. And Third Gator's house of sand is the easiest one to build! But soon Big-bottomed Boar shows up. With a bump, bump, bump of the fierce boar's rump, he knocks over Third Gator's house of sand. It doesn't take long for that rump to bump Second Gator's house of sticks. But he can't knock over Third Gator's house of stones, so he tries another way in—through the chimney! Guess what happens to the Boar's rump after that? !